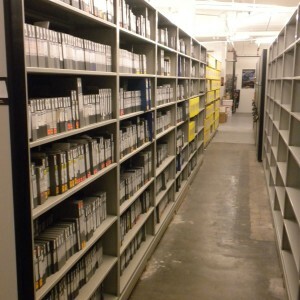 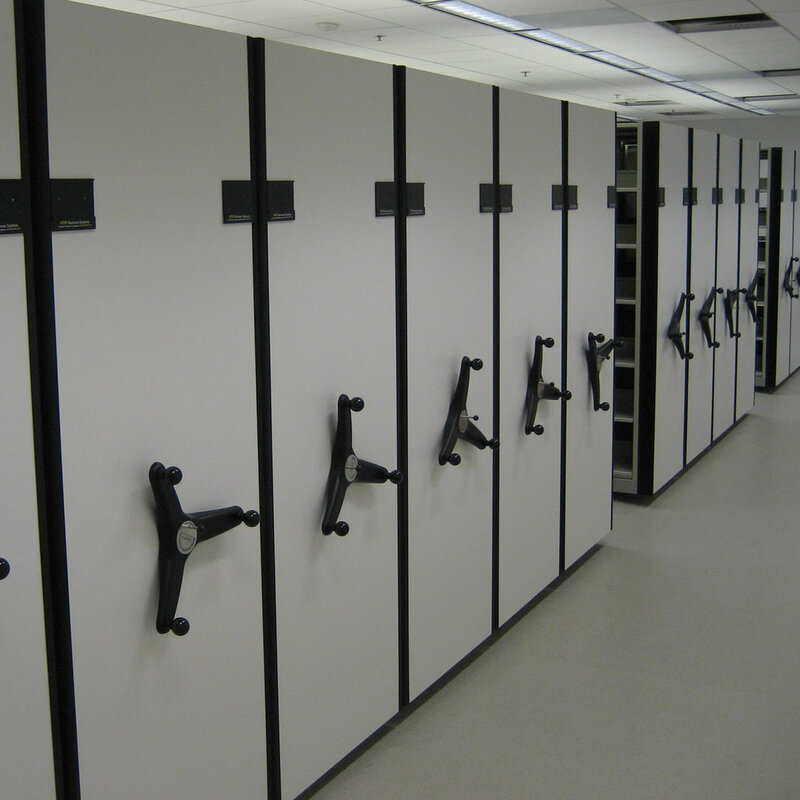 Mobile Shelving Design from Vital Valt allows you as an architect, designer, general contractor, or customer to know you are working with a great team of Strategic Storage Specialists. We have designed, sold and installed mobile shelving systems both large & small, focused primarily in the Southern California with many installations in Central & Northern California as well. 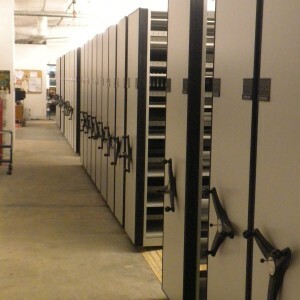 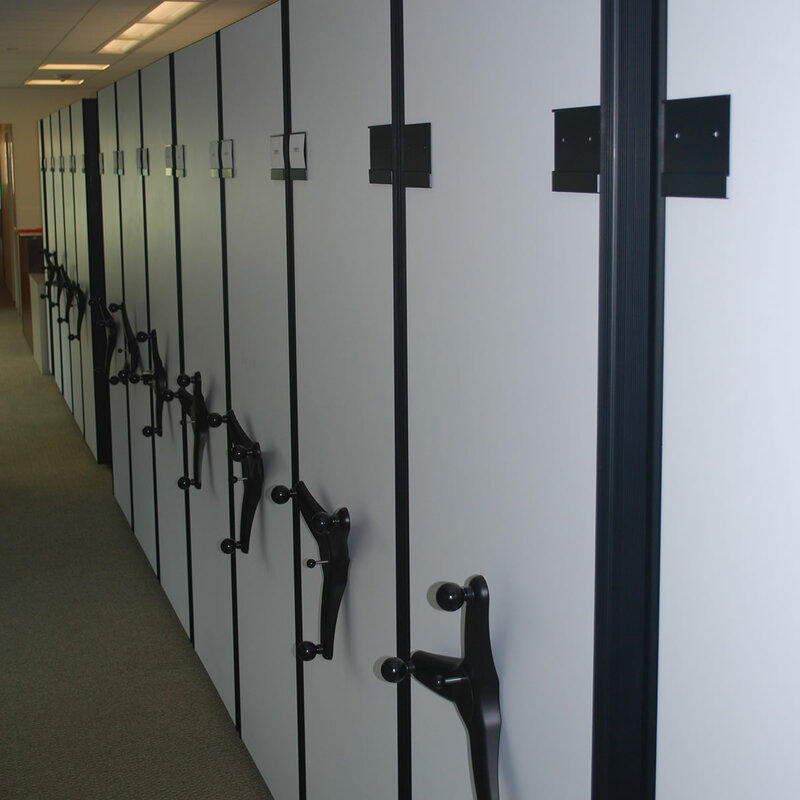 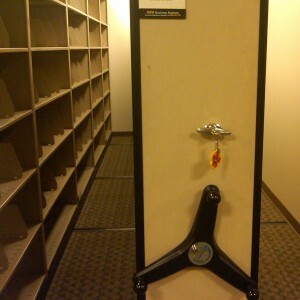 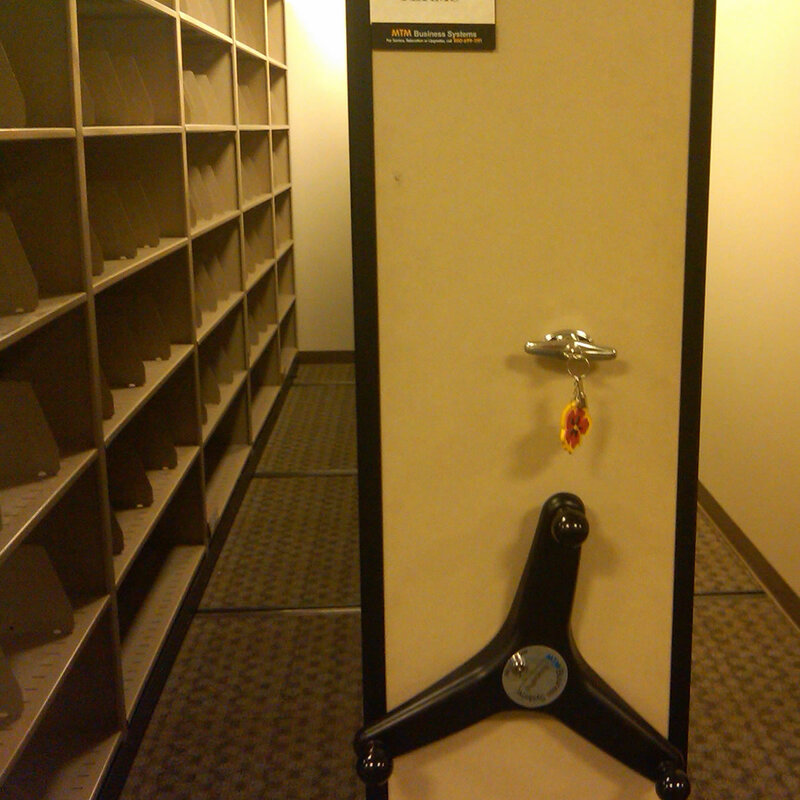 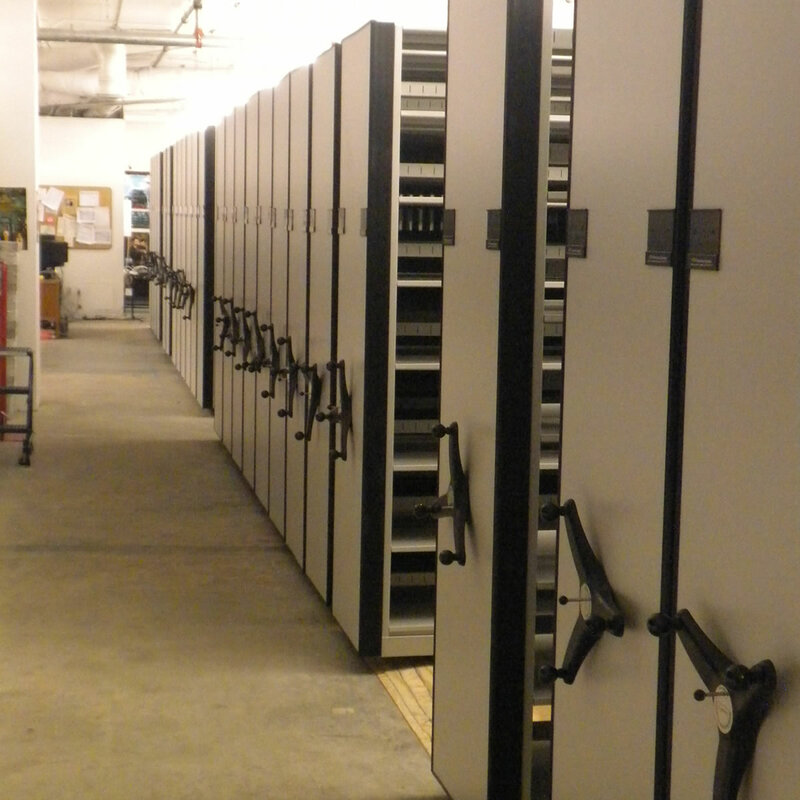 We have also installed mobile storage systems globally to support our GSA Schedule with weapon racks for government projects. Storage Shelving installed on top of high density mobile carriages can vary from office style file shelving to heavy duty industrial shelving in warehouse and bulk storage applications or possibly Combat Weapon Racks in a military arms room. 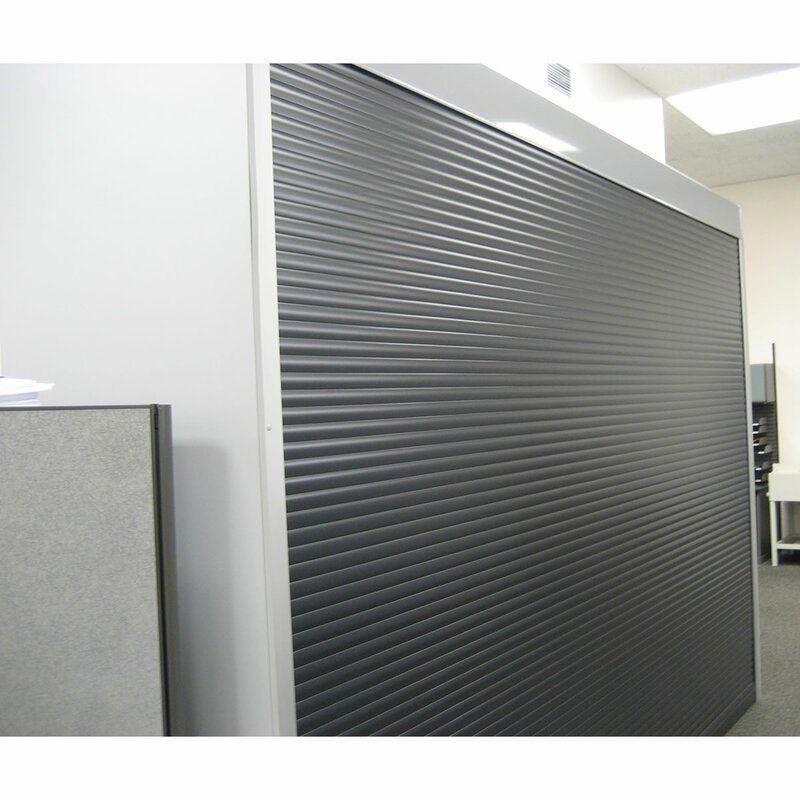 Contact us today @ 1-800-699-1191 to review your system & for more information.